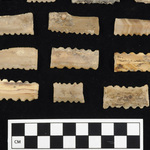 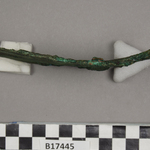 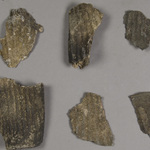 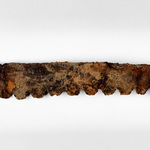 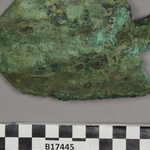 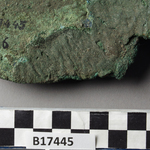 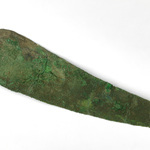 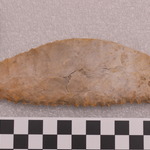 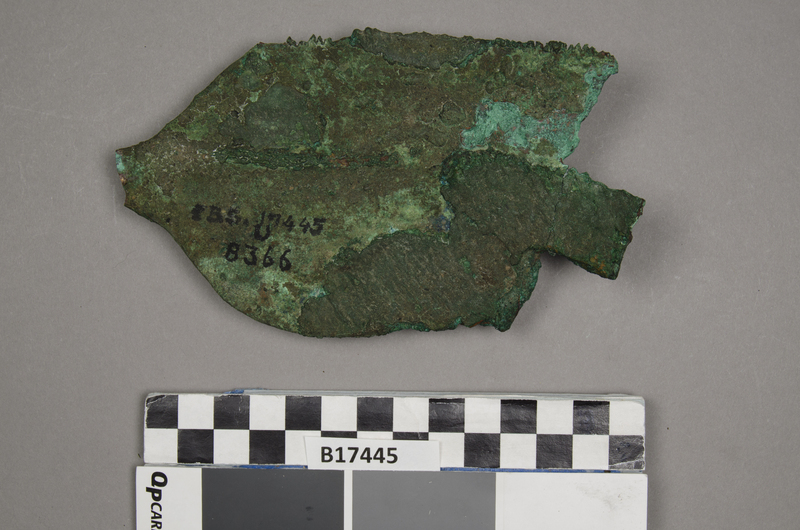 CBS Register: copper saw, fragment. 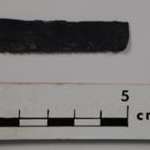 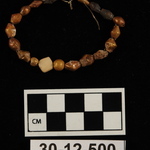 length 270 mm sample found in Sam Nash's Metallurgy cabinets. 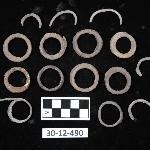 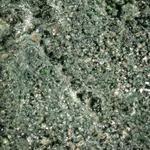 Sample Number Ur 61 Description 2016: Pseudomorphs present.